More information: To view the full details for these events, rotoruaNZ.com/events.There’s always something happening in Rotorua! 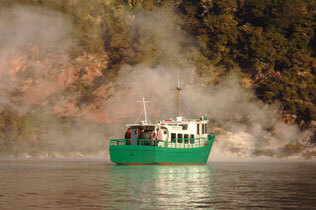 Check out Rotorua’s latest events below or visit www.rotoruanz.com for more information. Tuscany Villas central Rotorua location makes us the perfect motel accommodation for you, your friends and family. 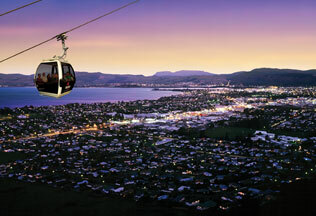 ROTORUA CANOPY TOURS - 3 hour wilderness adventure through magical native forest. 3 hour guided wilderness adventure on New Zealand's only native forest zipline canopy tour. You will experience 6 thrilling ziplines, 2 spectacular swing bridges, tree top platforms and an awe inspiring view of the forest up to 22 metres above the ground. You will not see any of the trees or plant species on the tour in any country on earth. This experience will stay with you long after the thrill of the final zipline has passed. Date: Every 2nd Sunday and extras . Details: Visit the Market at the lakefront where you will find heaps of stalls to browse - indoor and outdoor -souvenir, plants, jewellery, books, china, music, woodware, soaps, lavender etc. etc. More Information: To view the full details for this event, visit rotoruaNZ.com/events. Details: Tutanekai St between Haupapa and Pukuatua Streets comes alive every Thursday from 5pm. Many market stalls are showcasing their wares giving Rotorua locals and our many visitors the opportunity to interact with producers, chefs, artisans, artists and designers from in and around our region including existing Tutanekai St. retailers. See, smell and taste fresh seasonal fare , be entertained by a variety of performers and be inspired by the array of local New Zealand influenced art. Date: Every Saturday - 7am to 1pm - Kuirau Park, Corner Ranolf St .and Lake Rd. Details: The Saturday Morning Rotorua North Rotary Market is open every Saturday of the year. Depending on the weather there are upwards of 3,000 shoppers who use the market. The colourful stalls and their goods are a tourist attraction as well as a source of bargains for the locals. There are some 40 to 50 stalls at the market selling fresh fruit and vegetables, fast food, coffee, arts and crafts, wood, clothing, souvenirs, plants, pre-loved goods, candy, popcorn and much more. Date: First Sunday of each month ( except January). Details : 6pm to 9pm at Arawa Park Racecourse.